All Pro Restoration brings relief to your residential or commercial property when you need it the most. We offer expert and reliable emergency damage cleanup and repair services to our customers. You typically don’t think of fires and floods, until they actually happen to you. If your home or business has been affected by a disaster, whether it’s man-made or an act of nature, you can depend on the restoration professionals at All Pro Restoration to help with the mess. Remember, it’s YOUR property that’s been damaged, so you have a CHOICE as to what disaster recovery service fits your needs. 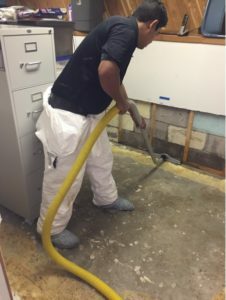 All Pro Restoration is ready to respond to your emergency, whether it be water, fire, mold or smoke & odor removal. We know that waiting is not an option and that is why we are ready with our emergency services when your home has suffered damages. We can be on site in 90 minutes or less! At All Pro Restoration, your satisfaction is our priority here. When you’re ready to let us take on your damage, give us a call.